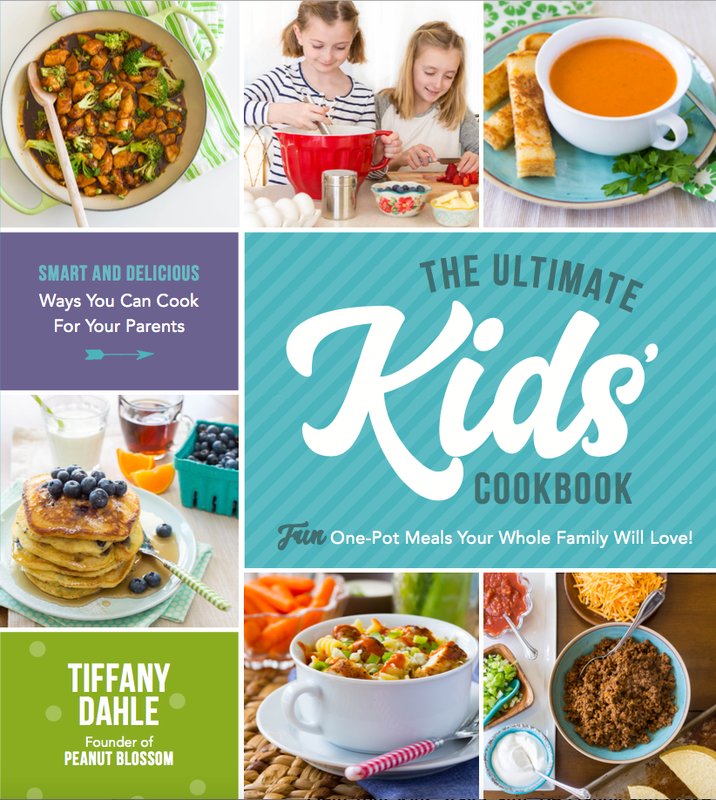 The Ultimate Kids Cookbook: Fun One-Pot Meals Your Whole Family Will Love by Tiffany Dahle is now available! Filled with 75 delicious recipes for kids that will inspire young chefs to cook for their families, this book is a must-have for every home library. Want to see a peek inside the book? Check out the big cookbook reveal here. Imagine a world without meltdowns around mealtime, where kids actually get excited to eat their vegetables and try new foods because they made it. This cookbook turns mealtime into a fun family activity with kids at the center of the action chopping veggies, stirring the pot or adding ingredients. The recipes are made in one pot for less mess, less cleanup and less work, but big flavor. Get a nutritious home-cooked meal on the table that your kids will be thrilled to eat because they had a hand in creating it. No more arguments with picky eaters! Kids ages 6 and up can grow into the recipes, with some parent involvement for tasks like cutting meat and handling boiling water, then gradually doing more and more parts on their own as they get older and build their skills. The recipes are built on familiar foods with interesting flavor twists and ideas for variations, which helps families avoid getting stuck in a rut making the same foods all the time. Example recipes include Cheesy Egg Breakfast Casserole, Pumpkin Spice Waffles, Pork Picadillo Burrito Bowls, Crustless Chicken Pot Pie and Potsticker Stir Fry. This cookbook will become a beloved treasure throughout the years, inspiring families to bond together in the kitchen. We are so excited for the launch of our first book, we wanted to give you something extra special to use while you plan fun meals with your family! When you order your own copy of The Ultimate Kids’ Cookbook you will also receive a FREE copy of The Ultimate Kids’ Cookbook Companion ebook which includes a welcome letter and introduction by the author and a quick lesson to set kids on the right track for their cooking adventures. BONUS: The ebook comes with a FREE kid-friendly grocery list printable to help your little chef plan their first meal. Get the details on how to get your thank you gift here. When you order THE ULTIMATE KIDS’ COOKBOOK before December 31, 2018 you will receive the FREE Companion eBook with kid-friendly grocery list printable. 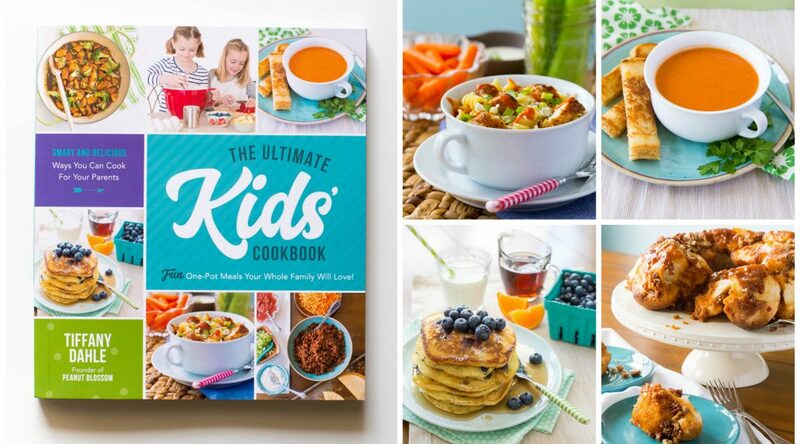 First, go to the retailer of your choice and order The Ultimate Kids’ Cookbook. Simply email a copy of your receipt to Tiff@peanutblossom.com. Once we receive your email, we will email you back a link to your bonus materials! Modern Parents Messy Kids selected the book as one of her September favorites!